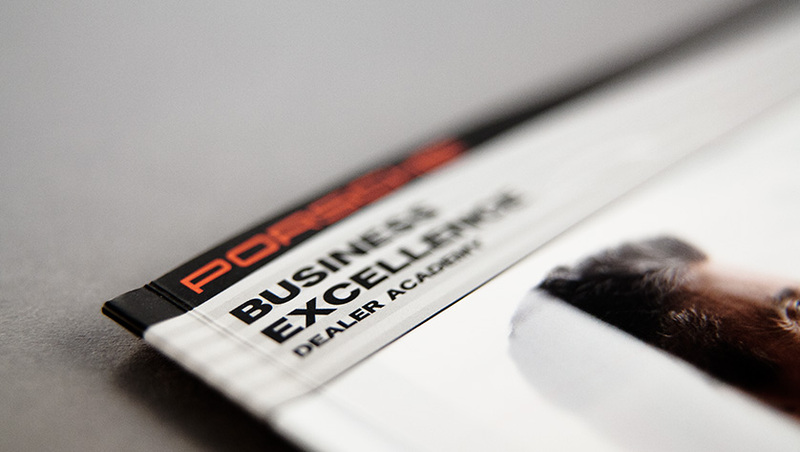 Porsche Dealer Academy is a strategic training program for dealers to allow them to run the Porsche Centres at an excellent level of performance. 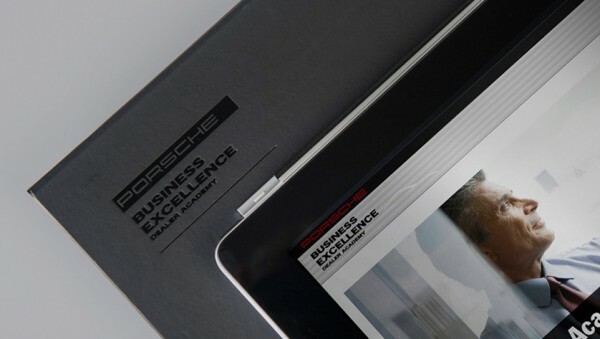 The Academy offers the best possible qualifications for sustained business success as part of Porsche Business Excellence and Strategy 2018 – in cooperation with the University of St. Gallen. 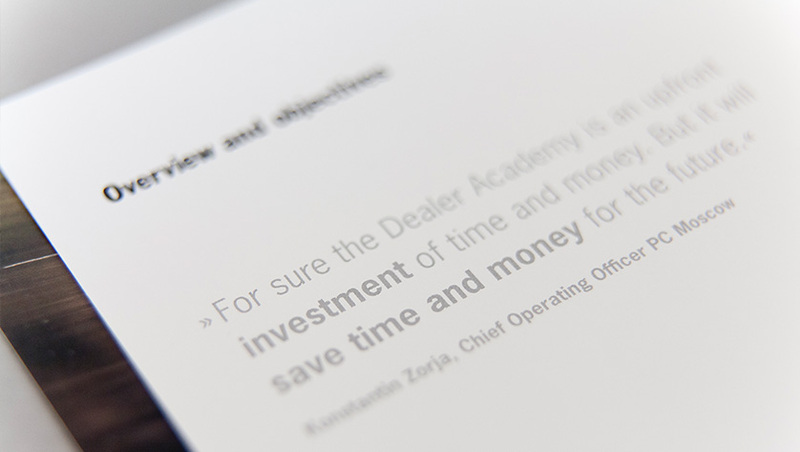 We developed a global communication concept for the international stream of the “Porsche Dealer Academy” – with visuals that reflect the Academy’s excellent level and claims. 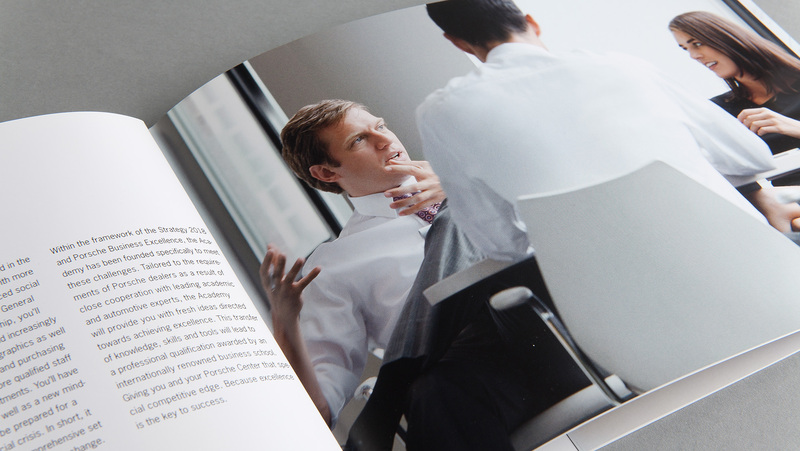 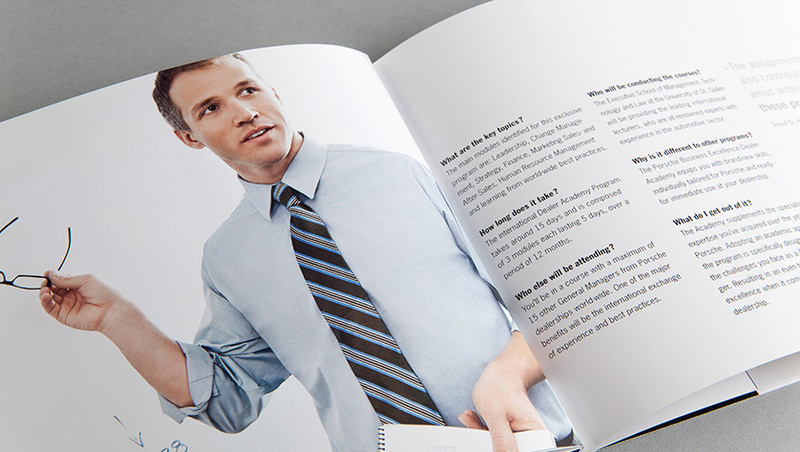 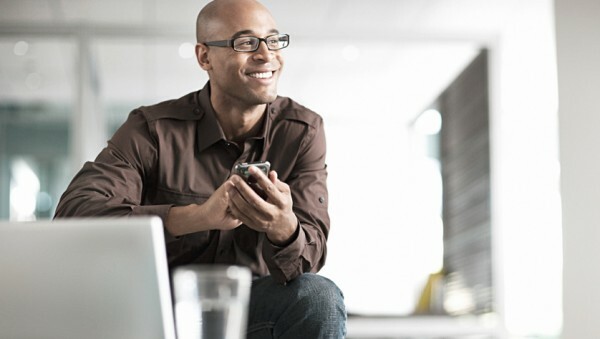 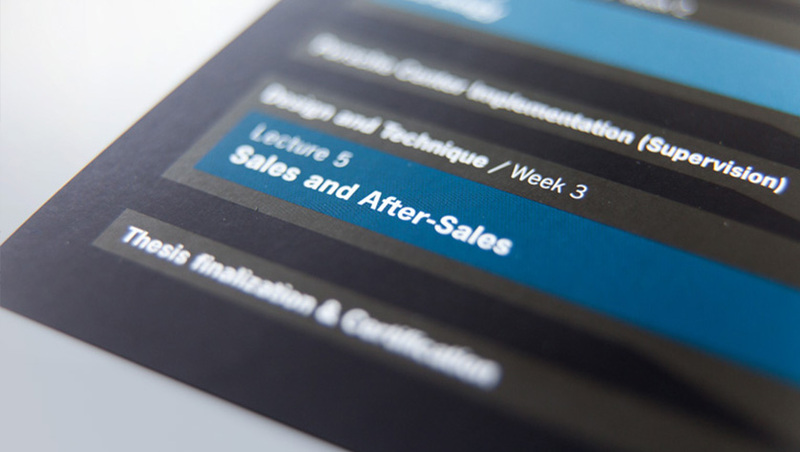 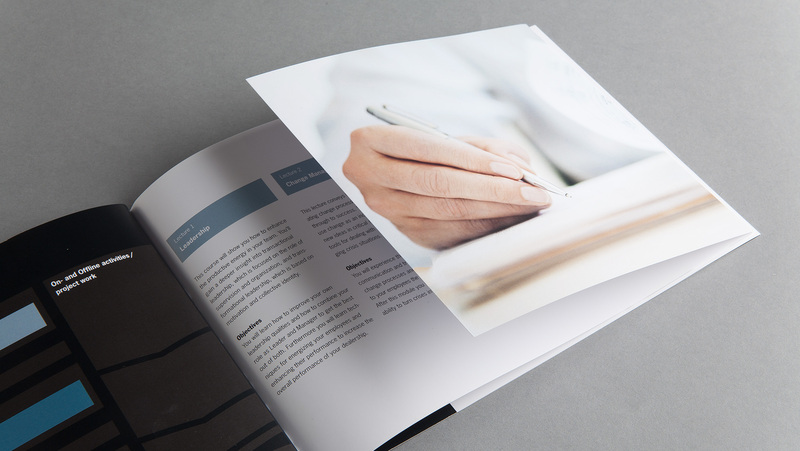 As part of a multi-stage roll-out flanked by communication activities, a brochure will also be created in order to communicate the information to be conveyed in an emotional, high-performance and sustained manner in all of the sales regions and to generate registrations.